There's just something about fall that has new products plopping down on my doorstep. Summer always feels like a dormant beauty time for me as more often than not the makeup just slides off my face anyway. But makeup is finally not sweating off mere minutes after stepping outside so it's now all about the new kids on the block. There are quite a few new goodies I've been testing out lately so this post is more of a heads up of upcoming rants or raves. The best first, right? Anything IT Cosmetics sends my way I basically swoon to death over and these new launches are still giving me heart palpitations. The Miracle Water* is in quite the battle with my all time favorite Body Shop Vitamin E Toner so only time will truly tell which one comes out on top. The packaging is to die for and I'm obsessed with just how much product you get. 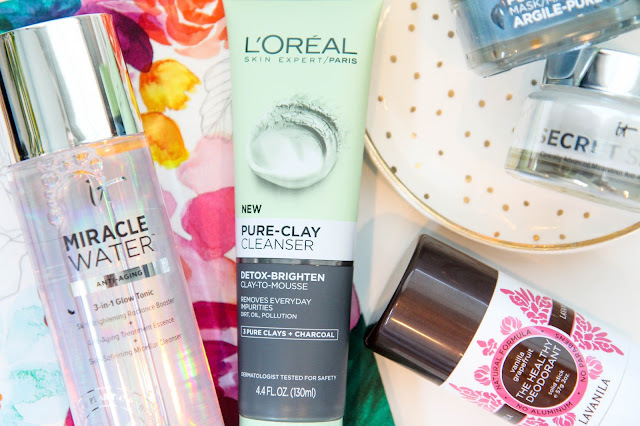 Influenster just recently sent me the new L'Oréal Pure Clay Cleanser* and I haven't even opened the tube yet to have any thoughts on the matter beyond excitement. I've always loved a good ol' fashion clay mask product so I'm curious to see how it works in cleanser form. Plus Influenster always seems to come through with some really cool free products so definitely go sign up. There's already a full post in the schedule as to whether or not "healthy" deodorants are effective and worth the extra few dollars. Testing out the Lavanilla Deodorant* has left me with a lot of mixed feelings on the whole subject that definitely deserves a good long, rambling post. 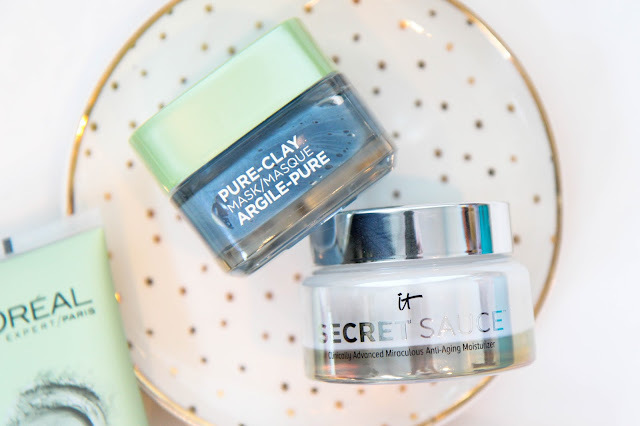 Along with the clay cleanser, Influenster sent along the Pure-Clay Mask* for review as well. Is it normal to be pumped to try something out based on the color alone? It seems like L'Oréal is trying to step up their game by adding some quality and substance to their packaging. It really feels like gone are the days of a huge divide between drugstore and high end. It's kind of a muddy mix now. Now the Secret Sauce* has treated me well thus far, but I still can't decide if it's worth the hefty price tag. Skincare products always take a bit longer for a full test out anyway since I want to see if there's a true difference made in the look and appearance of my skin. I've loved what I've seen from this stuff so far, but I'm still balking at the price tag. I'll let you know soon enough if you should start saving your pennies. Let me know in the comments if there's a product in particular you really want a review on!